Non-surgical rhinoplasty is just one of the 3 types of rhinoplasty. In non-surgical rhinoplasty, as the name suggests, there are no incisions of any kind that needs to be performed to perform corrective procedures to the nose. The non-surgical rhinoplasty has its own share of benefits as well as disadvantages. Many people opt for non-surgical rhinoplasty, since this type of procedure is less costly compared to other types of rhinoplasty. People who are also afraid in getting under the knife of external rhinoplasty or closed rhinoplasty, having an option to undergo rhinoplasty non-surgically can really be a relief. Who Can Benefit from Non-Surgical Rhinoplasty? 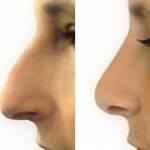 Not all people who want to undergo rhinoplasty can benefit from non-surgical rhinoplasty. Non-surgical rhinoplasty can only do slight changes to the nose’s appearance and can also be done to patients who are dissatisfied with results from their past surgical rhinoplasty. Deviated septum can’t be corrected with non-surgical rhinoplasty. What Can Non-Surgical Rhinoplasty Do? How is Non-Surigcal Rhinoplasty Performed? Dermal fillers are injected into specific areas of the nose that needs to be filed out to achieve a more contoured and symmetry to the nose’s appearance. 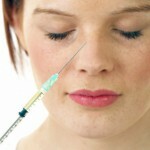 Microdroplet technique is used when injecting dermal fillers to the nose in “miniscule” amounts. Non-surgical rhinoplasty involves several sessions, since wanted end results can only be achieved after several treatments. Every treatment session is usually scheduled 4 weeks to 6 weeks. It is necessary for a non-surgical rhinoplasty to be done in a gradual approach, since the normal defense mechanism of the body works on walling off each microdroplet of dermal filler to form a capsule of tissue that can hold it in position. In time, natural tissues will then build up around the dermal filler to add more volume to the specific area of the nose. Results directly after each session will only be temporary and will eventually change over time.